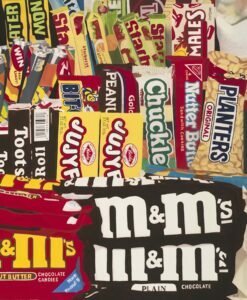 This huge original oil painting is one of Mark Schiff's food series. This painting would be ideal for a modern kitchen. 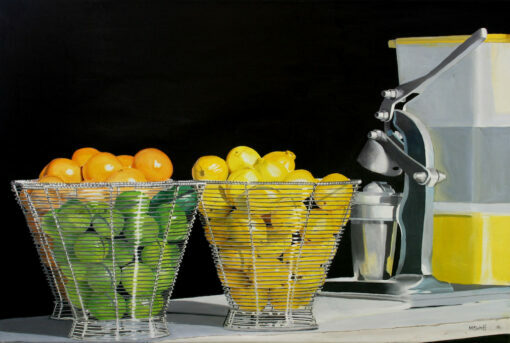 This huge original oil painting is one of Mark Schiff’s food series. 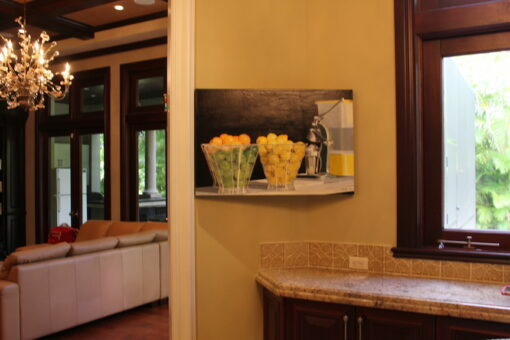 This painting would be ideal for a modern kitchen. Animated by photographs that reflect his personal life, Mark Schiff’s artwork is fueled by what makes him happy. Through his open touch and signature blending method, he lends his artistic perception to the original photographic compositions captured on his Leica. Mark’s creative vision has been alive since he was a boy. As a child he spent his summers observing life as he rode the trolley back and forth to art classes at the Pratt Institute. 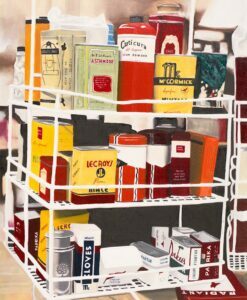 During his future travels to Europe, Mark’s eye for light and photography merged with his passion for painting at the Jeu de Pomme in Paris; which triggered his career in photorealism. 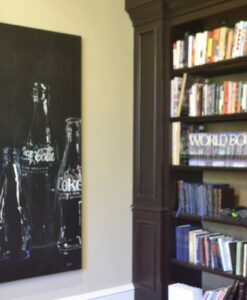 Mark is well known for painting objects that people can identify and emotionally connect with. 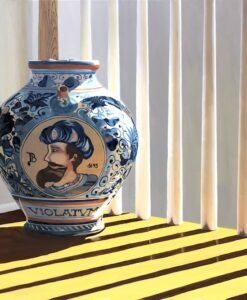 His work is distinctly marked by a rich palette and the luminous range of light he paints into his compositions. 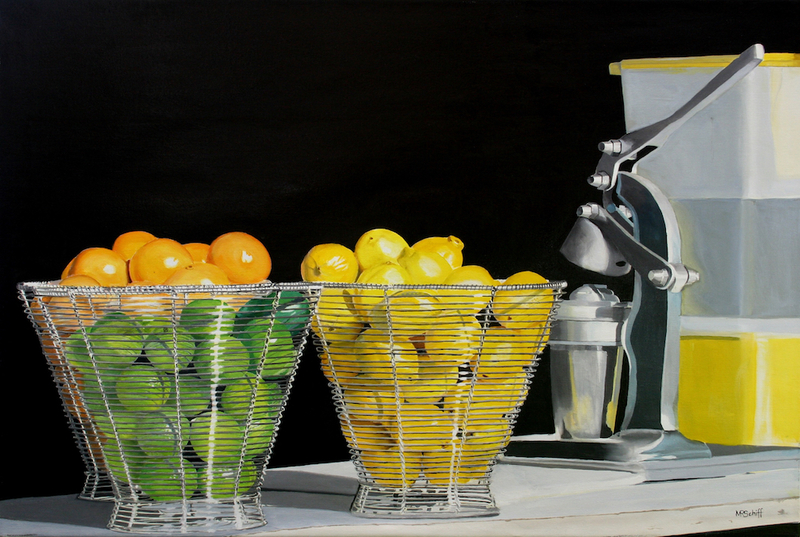 Each painting is a true extension of his vision and can take up to 200 hours to complete. 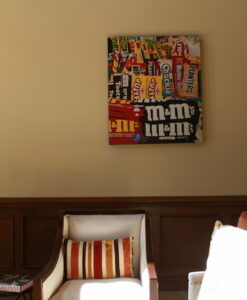 Mark Schiff’s work has been commissioned by the well-known brands The Hershey Company and Tropicana. 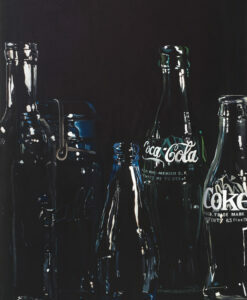 His private collectors include A-list celebrities and also corporate collectors in the US and abroad. Possessing a strong philanthropic nature, Mark donates both his time and works to charitable organizations such as Big Brothers Big Sisters, The Ronald McDonald House, Make-A-Wish Foundation, The Humane Society and the Special Olympics. Mark Schiff’s oil paintings are available at fine art galleries such as Millionaire Gallery in Key West, Effusion Gallery in Miami Beach, Oliver Cole Gallery in Wynwood, Sher Gallery in the Gulfstream Shoppes in Aventura, FL, Pop Gallery in Lake Buena Vista, Michael Murphy Gallery in Tampa, Empire Gallery on 26th Street in Chelsea in Manhattan and Atlas Galleries in Chicago.